On May 4th, during routine inspections of Ohi-3 (Fukui Prefecture, Ohi Town (see map), Pressurized Water Reactor (PWR), 1,180 MW), a build up of white powder was detected around the area where the control rod drive mechanisms attach to the reactor vessel head. 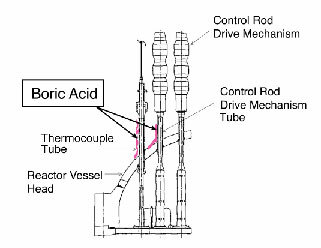 The powder, which turned out to be boric acid, showed that water had leaked from the reactor. It seems likely that some type of damage, such as cracking, has occurred in a control rod drive mechanism tube. This is the first such case in Japan. At this stage the size, exact position and direction of the cracks are not known. 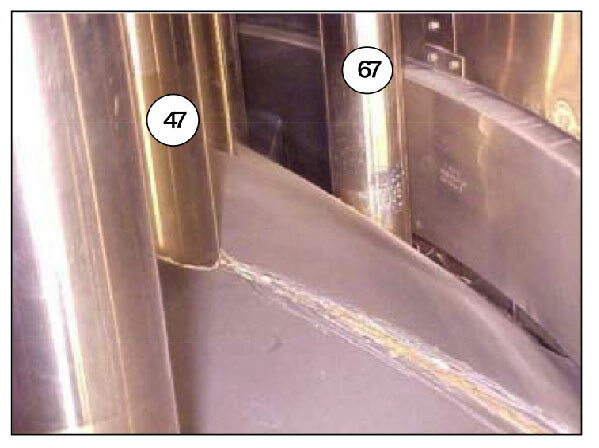 Evidence of cracking was found when preparing for external visual inspections of the 70 tubes (control rod mechanism and thermocouple tubes), which are welded to and penetrate the vessel head. Since stress corrosion cracking of Inconel alloy 600 (a nickel-based alloy also known as Inconel 600 or alloy 600) was found at Davis-Besse (US, reactor vessel head & control rod drive mechanisms), Tsuruga-2 (Japan, pressurizer relief valve tube) and numerous other reactors, Kansai Electric Power Company (KEPCO) has been worried that it might find similar cracks at its own power stations. The first leak was detected at control rod drive mechanism tube No. 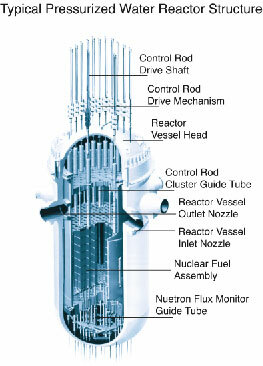 47, which attaches near the outer part of the vessel head. Then on May 5th, streaks of white powder were detected on the nearby thermocouple nozzle No. 67. However, at Takahama-3&4 and at Ohi-3&4, the reactor vessel heads were not replaced. Instead, in order to reduce the vessel head temperature during operation, the flow of coolant was increased. It was believed that the higher the temperature and the longer the operating time, the more likely it was that cracks would form. So in these four reactors, where the operating time was relatively short (as at October 2002, between approximately 80,000 to 140,000 hours), it was thought that cracks wouldn't appear during their operational life times (up to 200,000 hours). However, at Ohi-3, where it was believed that cracks were unlikely to form, cracks have in fact appeared, even though the actual operating time of about 100.000 hours falls well short of the expected operational life. There is therefore a high possibility that cracks will appear in other reactors. If the cracks become large and go right through the metal, a large amount of coolant could leak out. The capacity to cool the reactor core would then no longer be sufficient. This situation could easily develop into an accident in which a large quantity of radiation is released into the environment. The Ohi-3 accident shows that the counter measures taken to date have been inadequate.